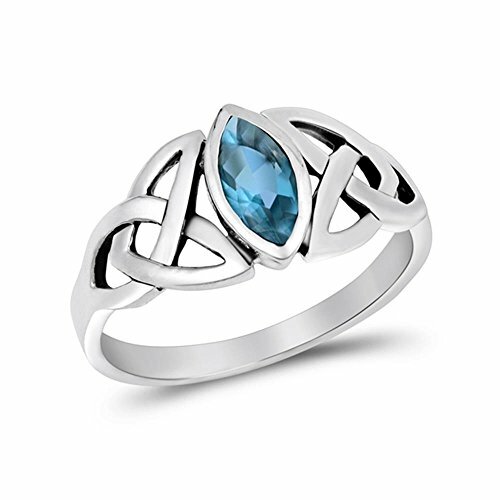 Sterling Silver Simulated Blue Topaz Celtic Design Ring, 9mm. Face Height: 9 mm (0.39 Inch). Noray Designs 14K Yellow Gold (0.06 Ct, G-H, SI2-I1 Clarity) Stackable Ring. Available in sizes 4 to 9.